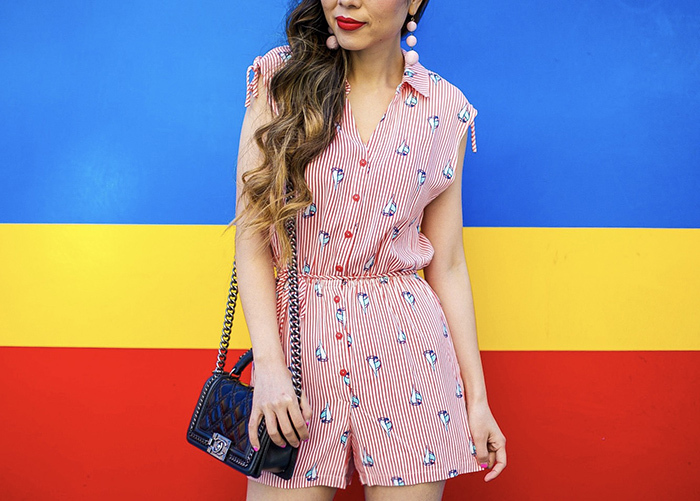 Fun sailboats playsuit is totally summer vibes. You girls know that pink makes everything looks prettier. Both of my playsuit and block heels are less than $60.